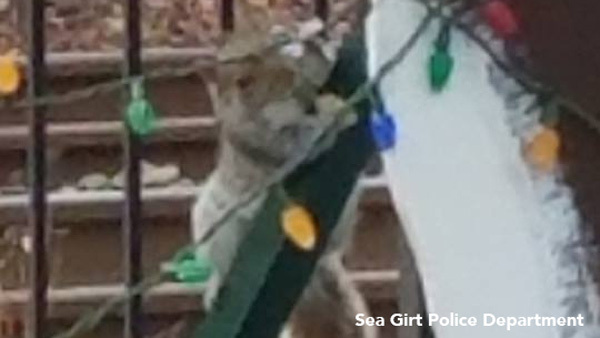 SEA GIRT, N.J. -- It was a squirrel that nearly stole Christmas in a New Jersey town. Sea Girt officials were puzzled when wires to the town's Christmas tree and display were found torn last week. Workers repaired the damage so the tree could be lit on Friday. 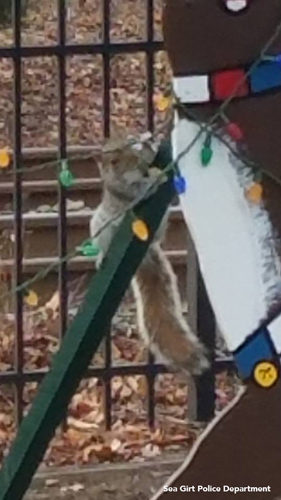 Police kept watch over the display and on Saturday posted a photo on Facebook of the culprit - a squirrel. Police said the squirrel was "charged with criminal mischief and released on bail."